2) Deeper Understanding: You’ll take more away from the passage because these six simple questions will increase your engagement with the text. 3) Better recall: You’ll create more connections in your brain around the text making it easier to recall. 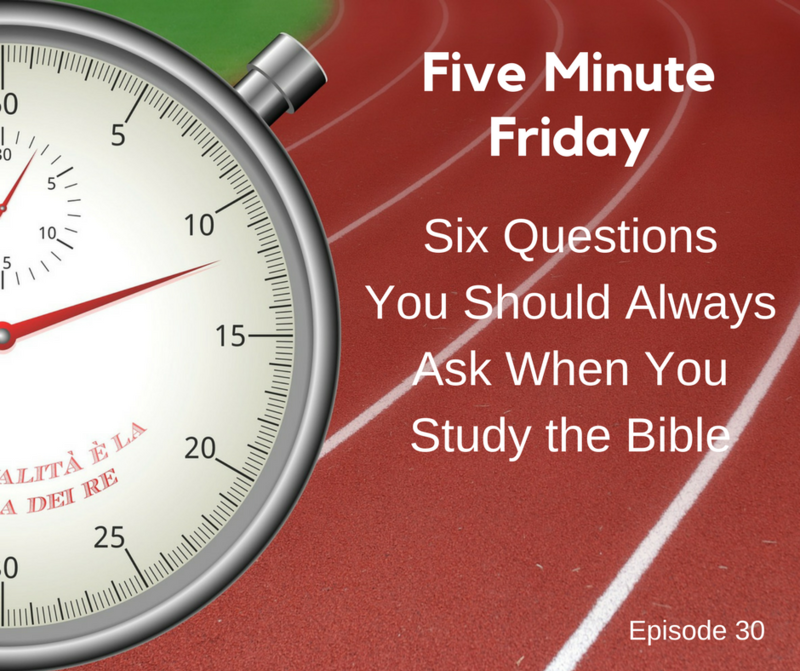 Read a passage of the Bible and jot your answers down to these six questions on a notepad. If you want to get MUCH more out of this exercise. Follow this process: Read the passage once. Note all you can remember WITHOUT looking back at the passage. Then review the passage and see what you missed in terms of answering the six questions. If you enjoy The Practical Disciple Podcast, please subscribe at iTunes or on your favorite listening platform. Also, I would appreciate your honest rating and review. Click the image below to view The Practical Disciple in iTunes. Would You Like to Read the Bible in One Year? Have you needlessly struggled to read the Bible? You’re not alone, but with a few simple strategies anyone can read and enjoy studying the Bible for his or herself. I’ve put together a Bible Reading Bundle to make daily reading and study ridiculously simple.